Everyone deserves to enjoy a strong and beautiful smile over the course of their lives. To help you reach your goals, Dr. Jamie Guthrie would like to be your trusted dentist in Ardmore. Dr. Guthrie and our tight-knit team are committed to treating our friends and neighbors in the community with comprehensive dentistry because we believe that our office is more than just a business. We are passionate about providing everyone who walks through our door with a comfortable atmosphere while we deliver the high-quality dental services that you deserve. 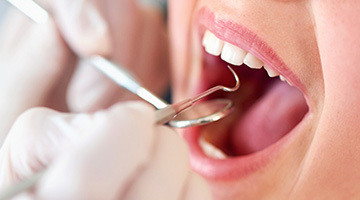 No matter if you need minor restorative care or a stunning cosmetic transformation, we will handle your specific needs. We pride ourselves in creating personalized solutions by getting to know our patients. We are transparent about our services, your insurance coverage, and financial commitment so you can rest assured that you are in the best of hands. With every visit, we will exceed your expectations as we provide complete dental services through all stages of life. Your home oral hygiene habits are vital to protecting the health of your teeth and gums; however, it is only half of the care you need. You should also see your dentist twice a year for preventive services. 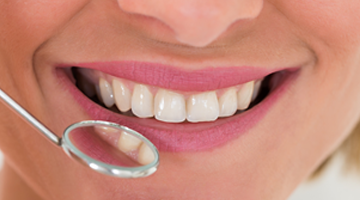 We offer complete preventive dentistry to protect your smile from damage. 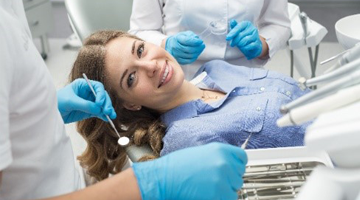 In addition to cleanings and checkups, we also offer fluoride treatments, dental sealants, and TMJ/Bruxism therapy to protect your smile from damage. We also offer an array of specialty services, including oral cancer screenings, periodontal therapy, children’s dentistry, and more to create generations of healthy smiles. 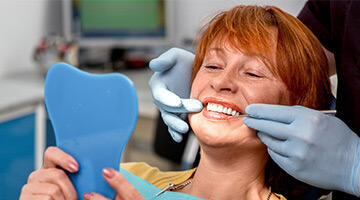 Unfortunately, even with the best preventive measures, damage to your smile can still occur. To quickly rehabilitate your oral health, we offer an array of restorative services in our office. We will not just correct the issue but ensure that it also improves the appearance of your smile. Using the most advanced technology, we offer convenient solutions, including same-day dentistry with CEREC. No matter if you need tooth-colored fillings, root canal therapy, dental prosthetics, or a more advanced procedure, like full mouth reconstruction, we have the solutions that you need. 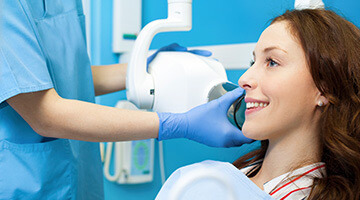 In addition to the health of your smile, its appearance is equally as important. With the appearance of your teeth directly linked to your confidence, we will help you achieve the results you want with cosmetic dentistry. As an experienced cosmetic dentist in Ardmore, we offer a diversity of procedures. No matter if you need a simple treatment like teeth whitening or want a drastic transformation with porcelain veneers or a smile makeover, we have the high-quality services you need for a flawless smile. Dr. Guthrie embraces the latest technological advancements to provide her patients with the best care possible. 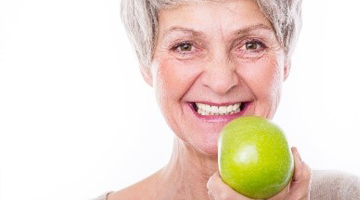 When it comes to replacing missing teeth, we provide the most reliable and predictable solution with dental implants. This groundbreaking procedure replaces your lost teeth with the next best thing to your own. With over a 95% success rate, you can replace a single tooth or an entire arch with an option that closely looks and feels natural. Now, you can restore your oral health and your confidence with a solution that has the potential to last for a lifetime. When it comes to your dental health, you deserve to benefit from the best. We want your time in our office to exceed your expectations. If you need a new dentist in the area, contact our office today to schedule your first appointment. If you have any questions or concerns, please do not hesitate to speak to member of our team.